Homestar Tokyo Sky Tree or Homestar Travel. 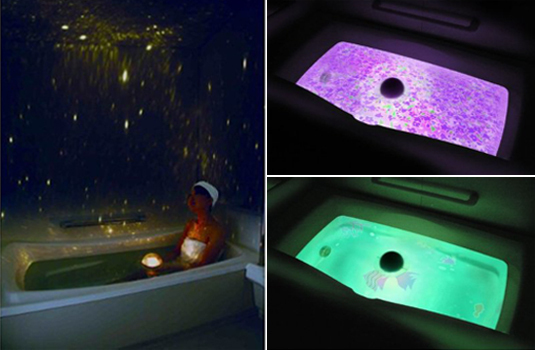 Bring the universe to the tub and relax under the stars! The Homestar Spa Resort is just like the Homestar Spa but with a pink dome and new beautiful projection scenes. 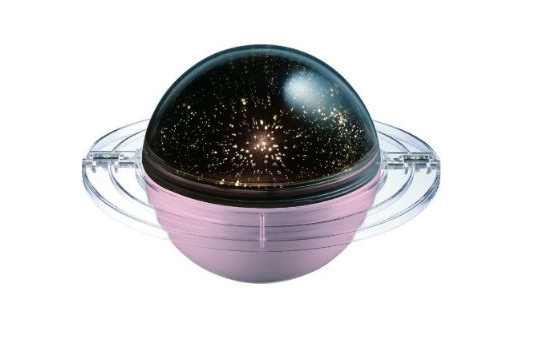 The waterproof planetarium ball floats in the bath water and its bright light projects out onto the ceiling, or even into the tub itself when flipped over. Feel like you are floating in lavender or swimming with tropical fish…all when just enjoying an ordinary bath.